Update, January 14, 2019 (10:34 AM ET): We now have official images of the first Samsung Galaxy M smartphone, sourced from an official Samsung microsite. The most notable attribute of the newest entry in the Galaxy lineup is the introduction of a waterdrop notch, making this device the very first from Samsung with the controversial design feature. 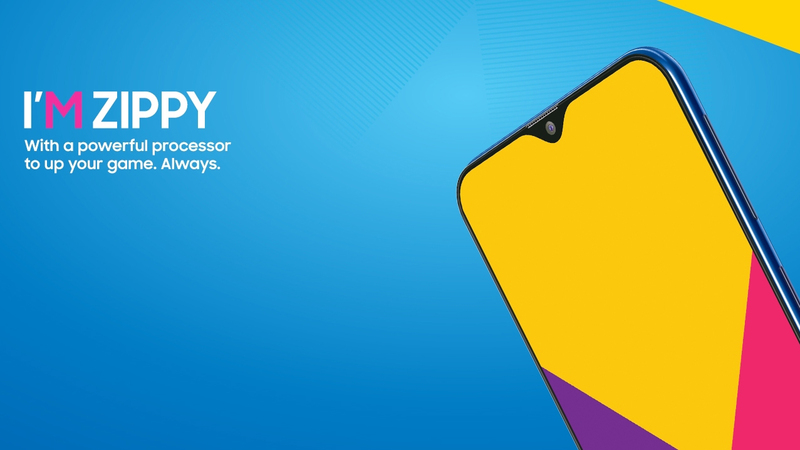 The microsite doesn’t signify what the pictured device is called, other than referring to it as Samsung Galaxy M. It’s possible it will be the rumored Samsung Galaxy M10 or M20, as described in the original article below. Original Article, January 14, 2019 (05:28 AM ET): Samsung today announced that it will be introducing three new budget smartphones under the M series to take on increasing competition from Chinese rivals. Intended to appeal to a millennial audience, the new series of phones have been designed in India. 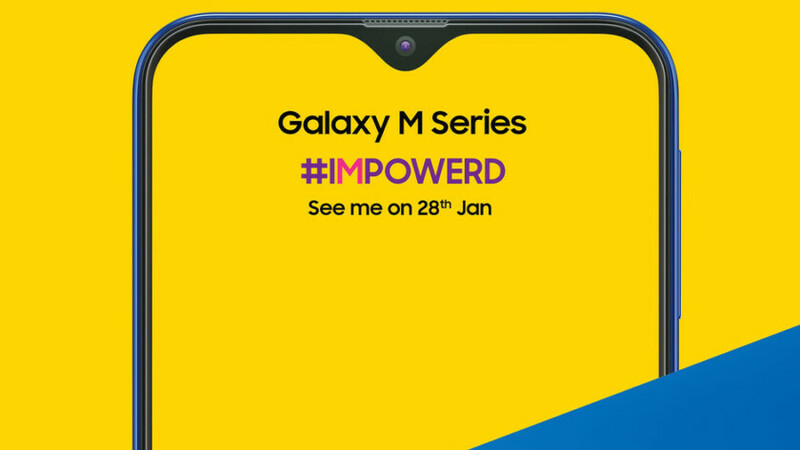 Two of the upcoming models, purported to be the Galaxy M10 and M20, are expected to be priced within the 10,000 rupees (~$140) to 20,000 rupees (~$280) price bracket, Warsi said. The former device was recently certified by the Wi-Fi Alliance. The pricing pits them squarely against Xiaomi’s Redmi Note series, as well as the very popular Poco F1. 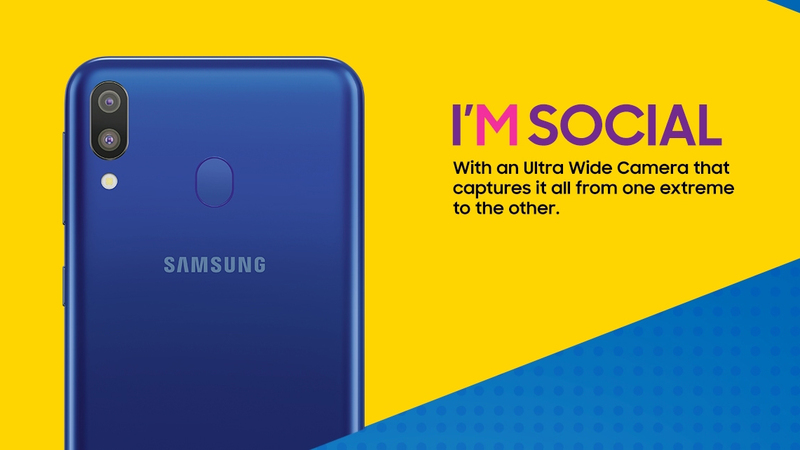 Unlike the Samsung Galaxy J series though, the South Korean company is expected to be more aggressive here with larger displays, bigger batteries, more powerful processors, and, of course, multiple cameras. Samsung’s growth in India has slowed down to a trickle at a time when competitors are making double-digit growth. As Xiaomi, Realme, Vivo, and others vie to offer the best bang-for-the-buck to customers, do you think Samsung might be able to take them head-on? Let us know in the comments section.